Dong-Su Kim, Ph.D. is a Director of Investment at Samsung Ventures America. He covers semiconductors, displays, renewable energy and “emerging” businesses, which includes healthcare and biotech. He has over thirteen years of investment, strategy, planning, and technology experience. Prior to joining Samsung Ventures, he was a director of Asia Evolution, an investment bank in Korea covering mid-market financing, private placement, and M&As. 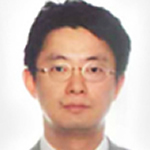 Before joining Asia Evolution he was a Senior Manager at Technology Strategy Office in Samsung Electronics. As the CTO’s staff, he was responsible for strategic venture investments and technology alliance. He also worked in technology planning for Samsung’s Telecom R&D center, responsible for discovering new research topics. Prior to that, he was a Technical Leader at Samsung Fiber Optics Business in charge of development of fiber optic components and also managed a technical sales team. Dong-Su has a M.A. and a Ph.D. from Princeton University in Electrical Engineering, and a B.S. with honors from the California Institute of Technology in Applied Physics.